The aim of the action was to reduce the impact of Tavolara’s goat population, which is rather heavy in dune and montane habitats due to grazing and trampling. 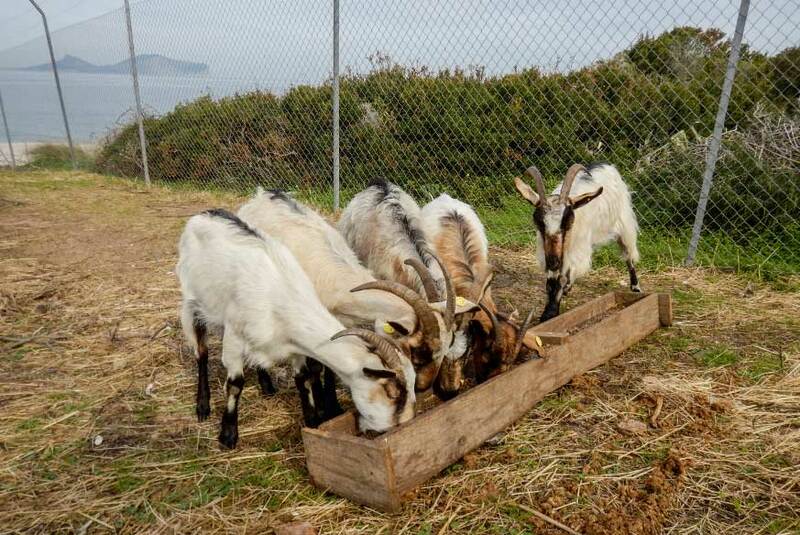 In order to begin, the project was issued a waiver by the competent authorities, because the feral goat population on Tavolara and Molara is classified as “highly protected wild fauna” under art. 5(3) of Regional Law n. 23 of 29 July 1998 bearing “Norms for the protection of wildlife and hunting in Sardinia”. The favourable opinions of the competent authorities were obtained thanks to a detailed containment plan including health measures. The goats were captured and put in a pen built in the Spalmatore di Terra area with the help of Fo.Re.STAS. After being visited by a veterinarian, they were transferred to the mainland, and subsequently turned over, through a public procedure, to goat farmers with the legal authorizations to keep them. A total of 26 goats were captured in 2016 and 2017, of which 6 adult males were set free by unknown persons. The goats targeted for capture were those that habitually ranged in the Spalmatore di Terra area. As of the time of writing, the area remains goat-free, and the local vegetation has visibly recovered. Grass species in particular are thriving, while certain shrubs, Calycotome villosa and Olea europaea var. sylvestris, are showing long buds for the first time in many years. In order to make it possible to compare goat numbers pre- and post-containment, the total population was estimated as early as 2014, when the census methodology was devised. Surveys proved difficult to carry out due to the rugged terrain of the island, which includes areas that are difficult to explore and others that are completely inaccessible. The minimum population was estimated by conducting several contemporaneous counts from fixed vantage points looking out over large swaths of the island, in addition to a census conducted by slowly circumnavigating the island with a boat, focusing on seaside cliffs that cannot adequately be surveyed from land. In 2014, 2015 and 2018 five sectors were surveyed from land, in addition to a non-contiguous sector surveyed by circumnavigating the island. By using maximum daily counts as proxies for the total population, the minimum population prior to the capture and transfer operations was of 180 individuals in 2014 and 178 in 2015, while the last year of monitoring (2018) showed an apparent population contraction down to 93 individuals. However, this estimate is strongly affected by the weather conditions during the survey, which made it impossible to conduct counts from two stations, thus influencing the final count. 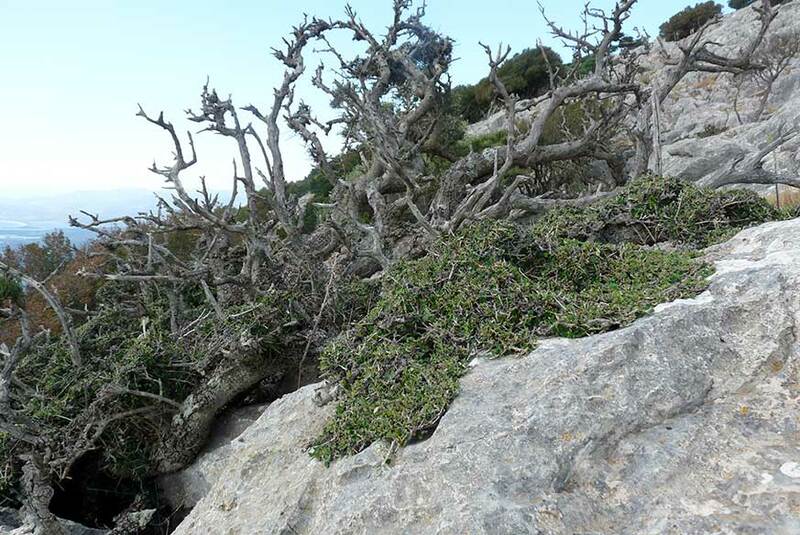 It is highly unlikely that the capture and transfer of 20 goats had an effect on the demography of the local population, but it is interesting to note that the removal of individuals from the Spalmatore di Terra area brought about positive results in terms of vegetation recovery. 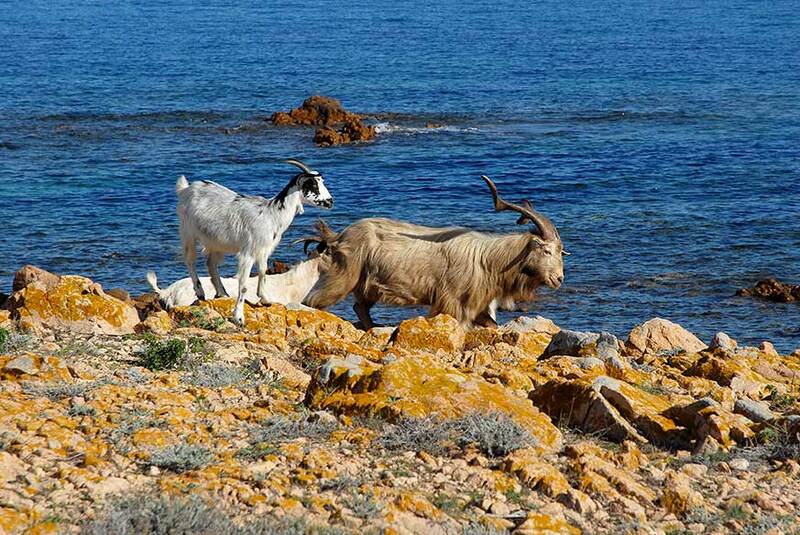 The experience acquired during the Life Puffinus Tavolara in terms of managing feral goats is the starting point for drafting the population management plan, which will be completed by the end of the project.